The iPhone X flagship was officially revealed yesterday, and Apple claims the performance is beyond what we’ve imagined. Sure, Apple is known to make bold claims about their new products for marketing purposes, but it turns out that benchmark results for the A11 Bionic SoC (which powers the iPhone 8 / 8 Plus / X models) were leaked hours before the official presentation event, and these seem to indicate the performance claims are in fact true. 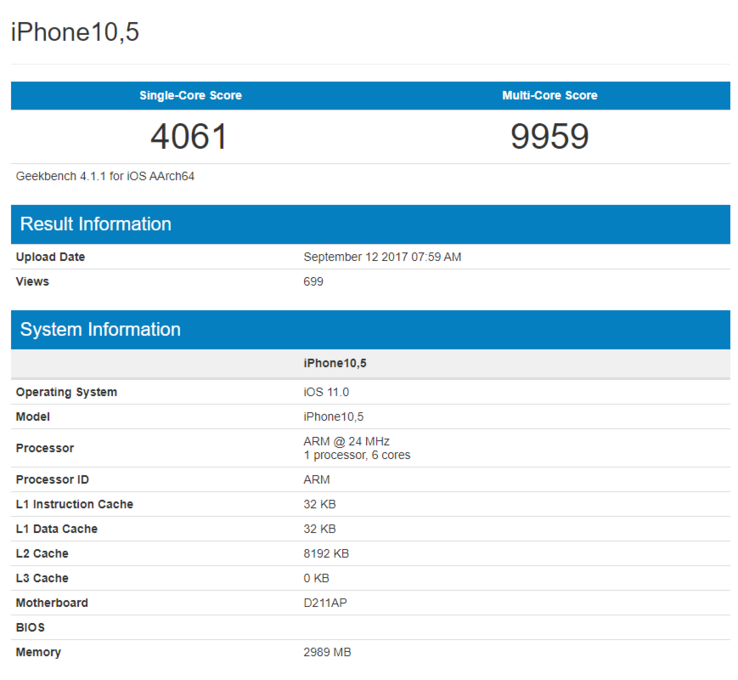 The leaked Geekbench results reveal that the A11 SoC integrates an ARMv8-A 64-bit hexacore processor. There are 2 high-performance Monsoon cores and 4 energy-efficient Mistral cores that deal with various media processes, plus a 3-core GPU. 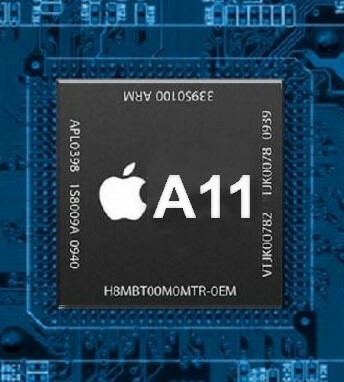 Apple’s A SoCs are known for the best single-core performance on the market, and the A11 delivers big time in this regard. In fact, the single-core results are higher than what most Qualcomm chips can score in multi-core tests. Thus, the A11 scores 4,091 points in single-core tests and almost 10,000 points in multi-core tests. This really puts the pressure on Qualcomm and the upcoming Kirin 970 SoC. The A11 chip is also expected to activate all 6 cores to allow maximum performance when running more demanding games and multimedia applications. This is a welcome improvement over the A10 Fusion chip that only allowed 2 cores to work at the same time for energy efficiency reasons. The iPhone 8 / 8 Plus / X models are expected to be released on September 22.